Yacht Club Games, the developers of Shovel Knight, had a historic showing at PAX East this year. Six years ago, Shovel Knight made its playable debut there. Now it's coming to a close there as well, with Shovel Knight: King of Cards and Shovel Knight: Showdown, its final updates. Both modes were drawing crowds for all four days of the show, making for a climactic finale to the game's long-running relationship with the show. Perhaps even more notable was the appearance of Cyber Shadow, a newly announced game created by Aarne “MekaSkull” Hunziker, with Yacht Club serving as publisher. The game, which has been in development for over five years, made up half of Yacht Club's total booth size, sending a strong message about how much the studio believes in their new partner. As it turns out, this relationship didn't happen overnight. In fact, it almost didn't happen at all. 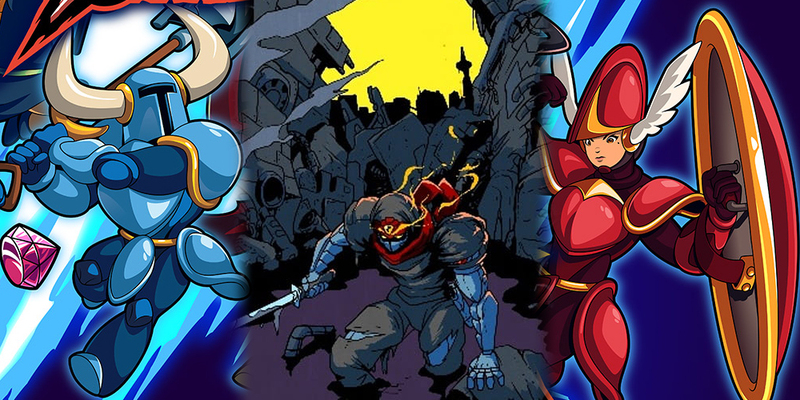 From the sounds of it, MekaSkull and Yacht Club Games have been mutual fans for a while, but that doesn't mean that teaming up was always a foregone conclusion. Sean Velasco and Sandy Gordon, two Yacht Club members, was pretty direct in telling us that MekaSkull "... had no intention of grabbing a publisher, but we just kept trying to coax him into joining our little family, and here he is." It turns out that he was standing right behind us as Sandy explained all that, nodding in approval, with a line of players by his side waiting to sample his work. Cyber Shadow is a really fun game, but sadly, PAX is filled with really fun games that never get lines formed behind them. There are over one hundred booths at the show, some showing more than one title. Competition is everywhere. Standing out can feel impossible. 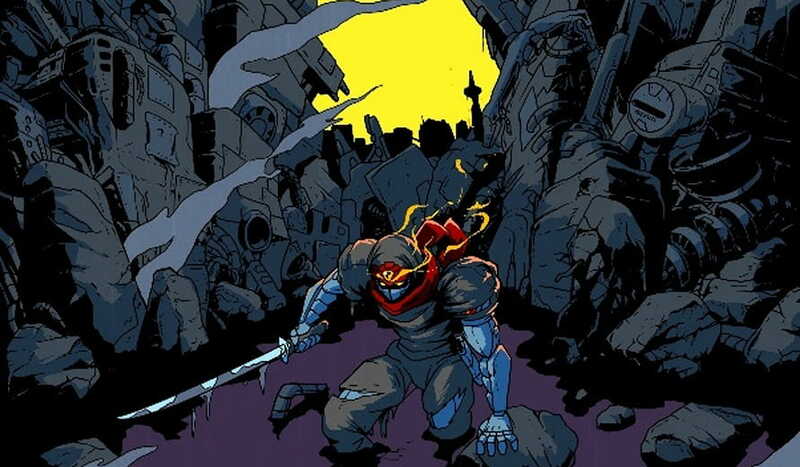 There's also the fact that at first glance, Cyber Shadow might remind people of The Messenger, another recently released "retro" ninja title. After having played both, I can tell you that they don't share much in common. It's a little like comparing Ninja Gaiden and Shinobi, two arcade classics that later came to 8-bit consoles that both capitalized on the '80s and '90s ninja craze, but weren't much alike beyond that. Case and point, Cyber Shadow is big on action, focusing on technology powered combat against giant mechs and bio-mechanical monstrosities, while The Messenger is more exploration based, designed with a priority on platforming, with battles against mythological beast being more of a side dish. Still, you'd need to play both games to ever discover that. Otherwise, their cosmetic similarities might lead you to believe one borrowed from the other. Thanks to Yacht Club, a lot of people have now played both, and are spreading the word appropriately, but Sean doesn't want to take too much credit. He told us "Bringing more notoriety to the game has been cool, but I feel like we're just letting it show for itself. It was already cool. That's why we went after it to begin with... and initially, he did say no, but we managed to convince him over time that it was a good idea... working together, we built a trust. You have to allow yourself to be vulnerable, just like Cyber Shadow... You only get three hit[point]s, at least for the demo." This respectful, downright affectionate attitude towards someone else's game speaks to the kind of publisher that Yacht Club is shaping up to be. It stands in stark contrast to the personality of King Knight, who also looks at himself as games dealer of sorts. His campaign was designed around his loaf-like attitude, giving you multiple ways to divert from the beaten path and soak in the fun of simply existing in the Shovel Knight world. After all, this may be our last trip there for a while. That goes double for Shovel Knight: Showdown, which has story modes for each playable character, including a few surprises. I'd be shocked in Cyber Shadow himself doesn't make a guest appearance here as well. Thanks again to Sean and Sandy for the interview, and please forgive my recurrent fascination with Sean's clavicle and collarbone area. 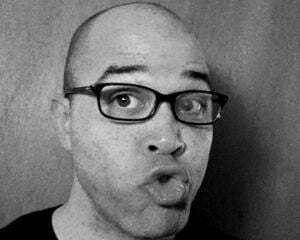 My wandering eyes have a mind of their own sometimes. No disrespect intended.